Russian attorney to stay detained in Roscosmos embezzlement case till Feb.19 | Russian Legal Information Agency (RAPSI). MOSCOW, February 12 (RAPSI) – The Moscow City Court on Tuesday upheld extension of detention for Tretyakov & Partners law firm chairman Igor Tretyakov, a defendant in a case on embezzling 330 million rubles (about $5 million) from Roscosmos state space corporation, the court’s press service told RAPSI. The lawyer will stay in detention until February 19. According to investigators, Tretyakov and other defendants have stolen assets of Roscosmos by signing fraudulent contracts for provision of legal services with the law firm. All the works were allegedly performed by the corporation’s own specialists. The overall sum of payments to the firm reached 330 million rubles. 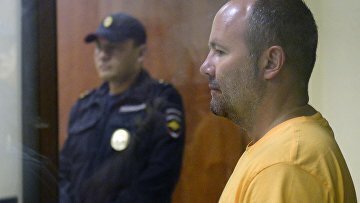 Tretyakov pleads not guilty to embezzlement charges. Two other defendants are ex-CEO of the S.A. Lavochkin Scientific Union Sergey Lemeshevsky and chief of the Union’s legal department Yekaterina Averyanova. All the defendants are in detention.